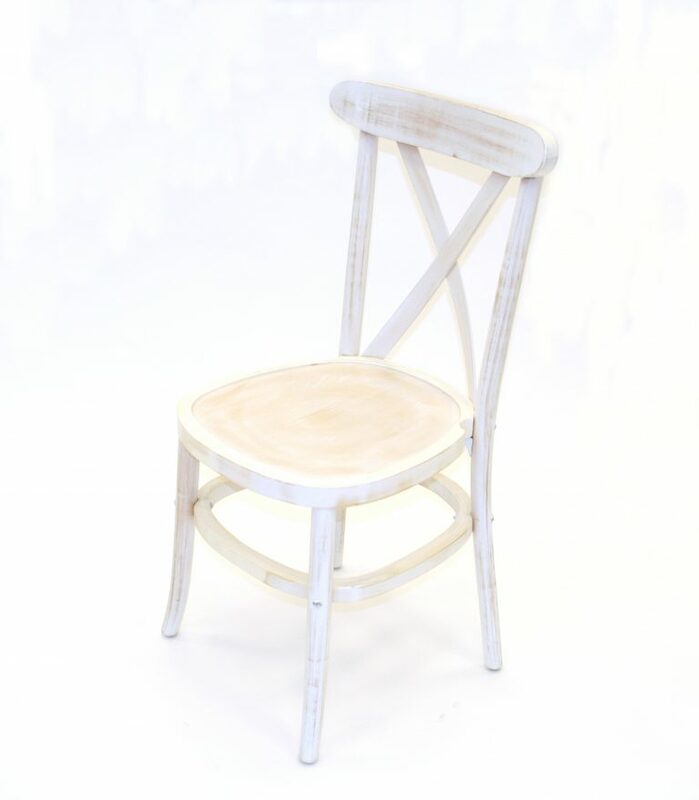 Bistro chairs have stood the test of time originating in the 19th Century in France. Bistro was originally designed to be used in small cafes across Europe. Since then, many replicas have been made and sold all over the world. 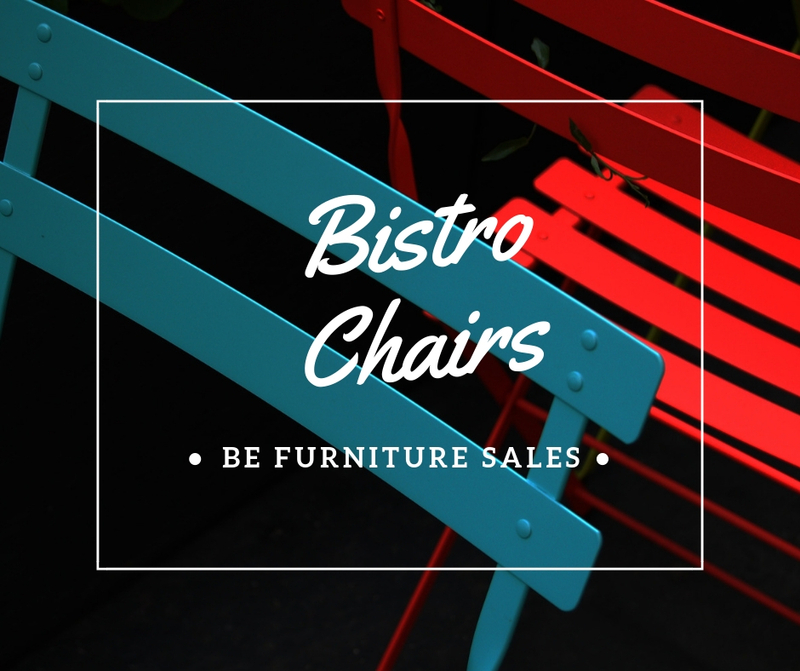 Even though bistro tables and chairs were originally meant for restaurants and cafes, it is becoming very popular as a garden furniture option. 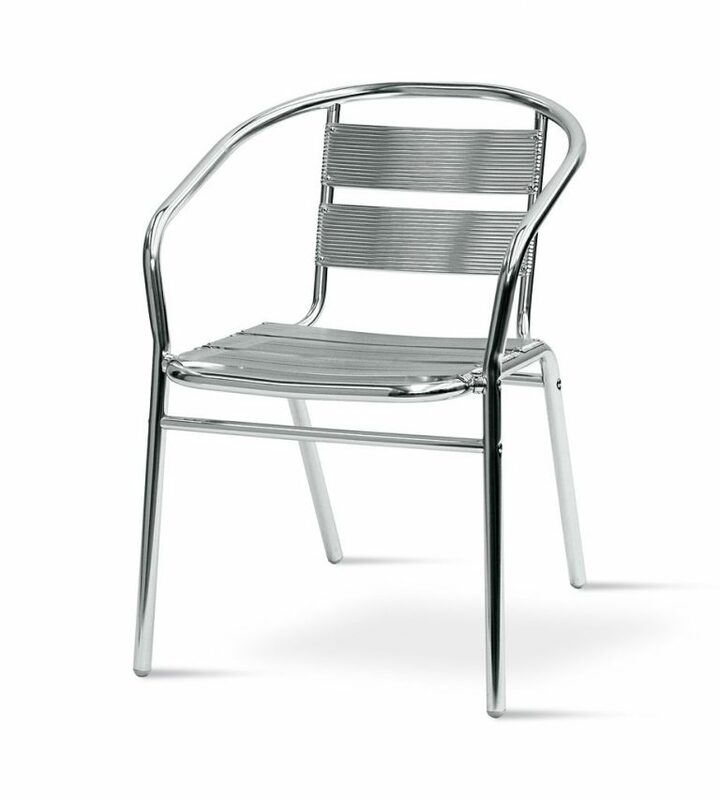 A bistro set typically consists of a small oval or round table with matching chairs designed out of steel. It makes for good garden furniture and typically seats two people. 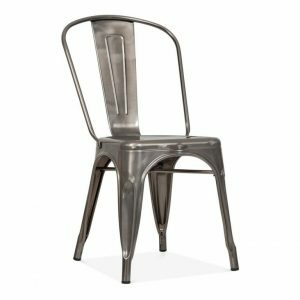 BE Furniture Sales takes pride in our extensive range of aluminium bistro tables and chairs in a range of materials and finishes. 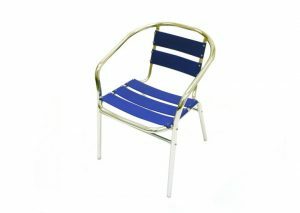 Aluminium Bistro Chair, from £12.70 plus VAT if buying 100 or more. 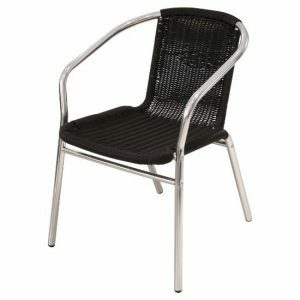 Black Rattan Bistro Chair, from £15.66 plus VAT if buying 100 or more. 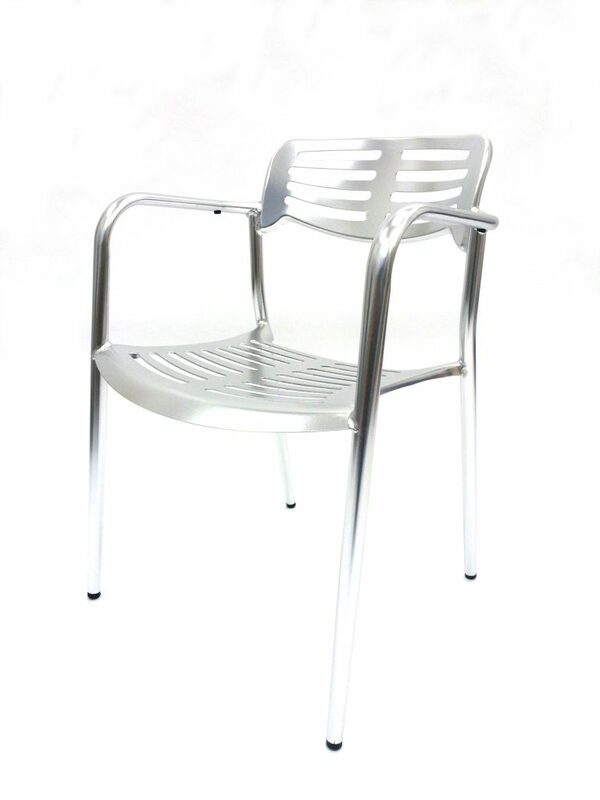 We also offer bulk discount on aluminium bistro chairs, click through to the product to view discount quantities.